In such a technologically advanced world, it is sometimes hard to understand why many people would rather use reel mowers instead of their engine-equipped counterparts. The truth is that there are several advantages reel mowers have compared to the most advanced types of mowers. The main reason why people choose these mowers is their cheap price, followed by the simplicity to use and maintain them, not to mention that they also are less dangerous compared with the other types of mowers available on the market. In addition to all these advantages, they are silent and environmentally friendly. With so many advantages, there is no wonder why these mowers are still so popular. This guide will help you decide whether a reel mower is right for you or not. 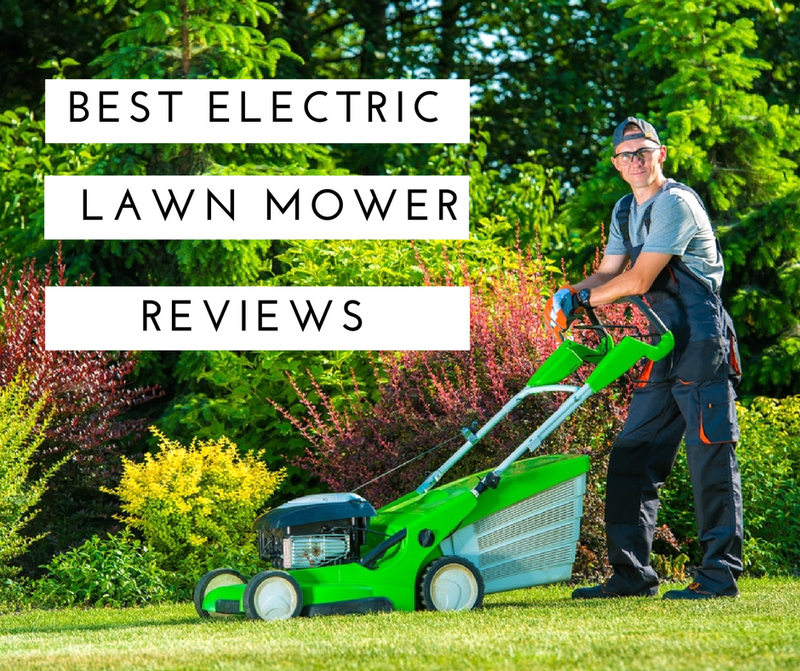 We also made a list of five best reel mower reviews, so you can choose your favorite one in case you decide to give reel mowers a try. What is a Reel Mower? How Does a Reel Mower Work? How to Choose a Reel Mower? A reel mower is a manual mower that is powered only by the physical exertion of the person who uses it.It should be mentioned, however, that some reel mowers are engine powered, but they are very rare and don’t have the advantages of the manual reel mowers. The regular reel mowers are characterized by the specific shape formed by the cylinder-like blades mounted between the wheels. A long handle, usually not adjustable, is placed at the center of the blades system. Many people call the reel mowers push mowers or push reel mowers when referring to them. The functioning of a reel mower is very simple. Basically, the blade is turned by a gear that is actioned by another gear placed on the wheel. Because the blades are actioned by a gear, they turn faster than the wheels of the mower, resulting the fast rotary movement of the blades. This fast rotary movement pushes the grass against a fixed cutting bar and also makes the grass cutting easier. However, since these mowers are only powered by your pushing force, they might be unsuitable for large lawns. Like all the other mowers available on the market, the reel mowers present advantages and disadvantages. To help you decide whether a reel mower is a right choice for your type or size of lawn, we’re going to list them. Cheap: the reel mowers are the cheapest mowers on the market. Their low price is given by their simplicity and by the lack of expensive components, such as engines or batteries. You will also not have to worry about any additional costs, such as fuel purchase or battery replacement. Easy to maintain: the lack of complicated components doesn’t only lower the production price, but it also makes the maintenance easy. If stored and cleaned properly, the only maintenance you will have to do is to lubricate the gears and sharpen the bladesevery now and then. Excellent cut quality: if the mower is properly maintained and of a good quality, you will be able to have a perfect lawn with perfectly cut grass. Environmental friendly: since reel mowers don’t use any type of fuel, they will not produce any toxic fumes. Subsequently, you will not have to worry about managing and storing toxic liquids, and the operation of the reel mowers is completely noiseless. Not suitable for the tall grass: although reel mowers can cut through tall grass, you will probably have to struggle a lot to achieve the desired result. Therefore, if the grass is tall, it is advisable to use a powered mower to reduce its dimension. Not suitable for large lawns: since the mower will be powered by your force exclusively, it might not be the best choice for you if you have a large lawn unless you want to make a lot of physical activity. Lack of bagging features: most reel mowers don’t have a bagging option, so you will have to mow the lawn and gather the cut grass manually. You will more likely need to purchase a trimmer too, since you will probably not be able to cut the grass alongside fences or other type of obstacles. In addition to the above-mentioned advantages and disadvantages, the reel mowers present a series of benefits compared to the other types of mowers available on the market. First of all, reel mowers maintain the health and beauty of your grass by cutting it cleanly, similar to a scissors cut. The grass cut in this way tends to heal faster and it is more resistant to the various diseases and insects. But this type of cut will not only keep the grass healthy, it will also give a beautiful aspect to your lawn. In fact, by using a reel mower, you should be able to achieve a professionally looking aspect for your lawn since the grass will be cut evenly. After all, if the reel mowers are used for the maintenance of the professional golf courses and stadiums, there must be a reason. Reel mowers are also ﻿﻿﻿extremely ﻿﻿﻿simple to operate. All you have to do is to push the mower to make the blades spin and cut the grass. You will not have to worry about any starter cords or switches, batteries, power cords or fuel purchase. But the reel mowers are not only simple to operate, they are also much safer than all the other mowers available on the market. Most mowers can be started by accident and cause injuries or even death to adults and children, or you could easily get burned touching the hot engine of the mower. These risks don’t exist in the case of the reel mowers. Lastly, a reel mower is good for your health, as you will have to put physical effort into mowing your lawn. Before telling you ho﻿w to ch﻿oose a reel mower, we should mention that on the market, there are available some models of electric reel mowers which are powered by batteries.While it might seem that these mowers are easier to push, in reality, they are heavier and harder to maneuver compared to the traditional reel mowers. These mowers also present the disadvantage of the battery charging, so these are not the most suitable tools if you’re looking for a simple and easy to use tool. Weight: you should consider the type and size of your lawn and choose a suitable reel mower. Heavy reel mowers work better on thicker types of grass, compared to the lightweight models that are more suitable for thinner grasses. Blades: most reel mowers have alloy or steel blades. The first ones need an annual maintenance to sharpen them. The latter don’t need to be sharpened for really long times, but they might be affected by rust. Width: depending on the size of your lawn, you should choose a wide or less wide reel mower. If your lawn is rather large, a wider reel mower will be able to cut through a larger amount of grass at the same time. However, consider that the width will affect the weight of the mower, so you should determine if you want to be able to push the mower faster or cut more grass. Now, let’s see the five best reel mower reviews. 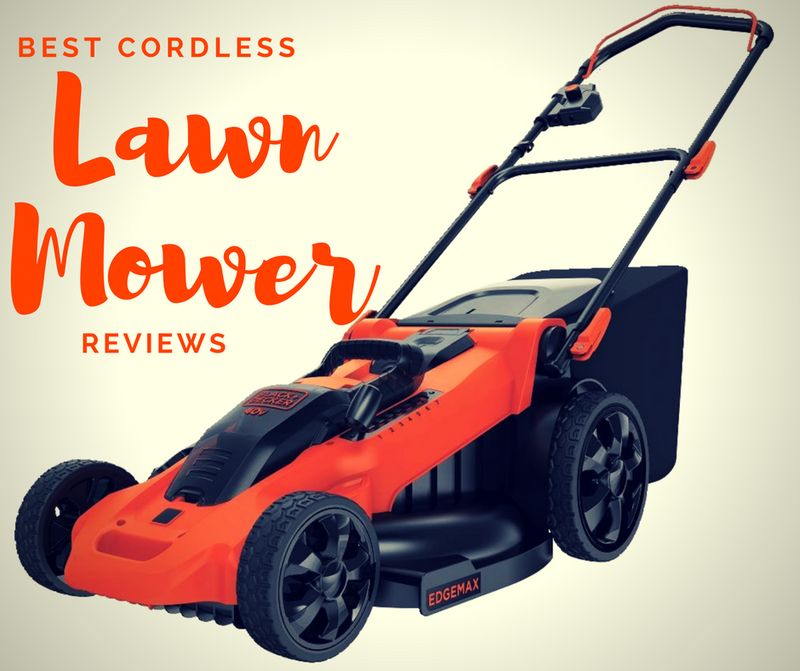 Ideal for small and medium sized lawns, this reel mower features a cylinder of steel cutting blades that use a contactless cutting technology, increasing the blades’ life. In addition to these excellent blades, this lawn mower from Brill also has an adjustable cutting height that varies from 0.7 to 1.8 inches. A measuring scale on both sides of the mower will help you adjust the blades correctly. All the metal components of this reel mower are coated with a dry powder mixture that protects the mower from rust, chipping and scratching. The mower is sturdy and it has a foldable handlebar with foam rubber handles for better grip. 5 sharp blades: this reel mower has a number of five sharp blades that give an excellent balance between the grass cutting ability and pushing ease. 15.2 inches wide: perfect for almost any type of lawn, this reel mower has a small footprint being easy to use and store. Lightweight: weighing only 17 pounds, this reel mower can be easily maneuvered while mowing. Easy to assemble: the mower comes fully assembled, except for the handle that can be easily attached to the blades-wheels assembly. This mower doesn’t seem to be suitable for the thick types of grass. With its patent-pending technology, the StaySharpPush Reel Lawn Moweris designed to deliver top cutting performance without the hassle of the engine powered lawn mowers. The drive reel is designed to ensure up to 50% more cutting power compared to the standard reel mowers, while the StaySharp technology should eliminate the inconveniences of blade sharpening. Versatile, this reel mower features adjustable cutting blades. The cutting height can vary from 1.5 to 3.5 inches, while the 17-inch width makes this reel mower perfect for medium sized lawns. Suitable for all grass types: this reel mower is suitable for all grass types thanks to its superior cutting system. Easier to push: compared to the similar reel mowers, this reel mower is about 30% easier to push thanks to the technology developed to reduce the push force. StaySharp cutting system: this system was designed to avoid the blades to touch, to reduce the need of maintenance. Thick blades: to work effectively on any type of grass, this reel mower is provided with thick blades. This reel mower is rather heavy and difficult to maneuver. Even if the manufacturer claims that the mower is perfect for all the types of grass, the thick blades are more suitable for the thick types of grass. This Silent Push Reel Lawn Mower from Gardena is quiet, extremely smooth-running and boasts a contact free cutting technique that will maintain the sharpness of the blades and reduce the maintenance frequency. Manufactured by one of the garden tool leader companies, this reel mower has an excellent quality and comes with 12 months warranty for the parts and labor. In addition to the warranty, the national repair service provides customer support to all the users and can give you free estimates if you experience any issues with the tool once the warranty period is over. Coated steel cutting cylinder: to prevent rust and other type of damages to the blades, the cutting cylinder is made of coated steel. Removable handle: for easier storage and transport this reel mower comes with a removable handle. Adjustable cutting height: for the efficient mowing off most types of grass, this mower features a handy controller from where you can adjust the cutting height. Easy to push: using the contact-free cutting technique, this reel mower is really easy to push. Expensive: despite all these great characteristics, this reel mower has an unjustifiably high price. From the popular Great States reel mowers manufacturer comes this 415-16 16-Inch Standard Push Reel Lawn Mower designed for small to medium sized lawns. Boasting a 16-inch blade cylinder, this reel mower is lightweight, compact and made of alloy and steel. This reel mower has a four-section adjustable roller from where you can adjust the cutting height from 0.5 to 2.75 inches. In addition, the wheels height can also be adjusted to three different heights. Lightweight: this reel mower weighs only 25 pounds, being easily maneuverable on all types of grass. Heat treated blades: to help the blades stay sharp for a longer time and to improve the cut quality, this reel mower has heat treated blades. Cushioned handles: for better grip and handling, the handles of this reel mower are cushioned. To prevent rust, the handle is powder coated. 16-inch cutting width: you will be able to mow your lawn fast thanks to the 16-inch cutting width of this reel mower. The mower comes disassembled, but it seems that assembling the handle is a quite hard and time-consuming operation. One of the most popular reel mowers available on the market, this Scotts 304-14S 14-Inch Economy Push Reel Lawn Mower is ideal especially for small lawns. The 14-inch cutting width and the 21 pounds of weight make this reel mower easy to maneuver in tight spaces and easy to push along your lawn. Equipped with a 3 spider 5 blade ball bearing reel made of treated alloy steel and with 10-inch composite wheels, this reel mower can cut through any type of grass at a height between 1 and 1.75 inches. The T-shaped, zinc plated handle is resistant to rust and other corrosive agents. Easy to push: thanks to its reduced weight and dimensions, this reel mower is easy to push even through the tighter types of grass. Designed for the small lawns: with its 14-inch cutting width, this mower is perfect for lawns smaller than 4.000 square feet. Extremely sharp blades: this reel mower has very sharp blades that not only cut through any type of grass but that need little maintenance. T-shaped handle: for easier handling, this mower comes with a T-shaped zinc plated handle. Due to its small dimensions, this reel mower is not suitable for medium sized or large lawns. As our best reel mower reviews clearly show, there are many valid options on the market when it comes to reel mowers. The best thing to do before deciding which one to buy is to accurately assess the size and type of your lawn, so you can buy the most appropriate reel mower. However, in our opinion, the best reel mower available on the market is the Fiskars 17 Inch StaySharp Push Reel Lawn Mower. This mower is suitable for all types of grass, while its 17-inch cutting width makes it suitable even for medium sized or larger lawns. The mower has extremely sharp blades that ensure a perfect cut of the grass. The adjustable cutting height is another big plus of this reel mower, while the thick steel blades require little maintenance. Despite being a quite heavy tool, the great features and excellent materials used to manufacture this reel mower makes it the best reel moweravailable on the market.